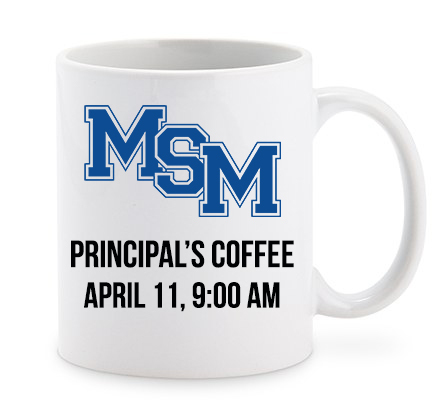 Join us for "Meet The Principal Coffee" on April 11! Hear from Mrs. DeNegri and ask any questions you may have about MSM! This casual event is open to everyone! Questions? Contact Diane Wilson at dwilson@mountstmary.org today!